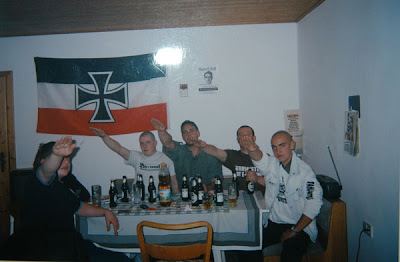 The Nazis took a trip to the Dachau concentration camp. 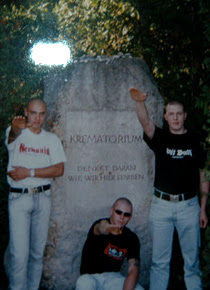 A group of Neo-Nazis took some time off from their busy schedules and traveled to Dachau Concentration Camp. 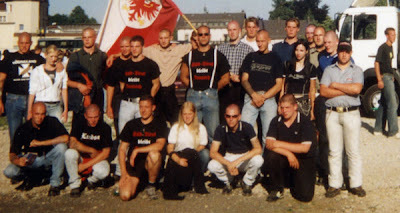 Milan, 12 Oct. (AKI) – A group of neo-Nazis from the northern Italian city of Bolzano have travelled to the German concentration camp of Dachau where they posed for photos giving the Nazi salute. Dachau was the first of several concentration camps and became a model for the Nazis when it opened in 1933. More than 200,000 prisoners from 30 countries were believed to have been imprisoned in the camp – one third of them Jews. Around 30,000 people are believed to have died there.